Whether we’ll admit it or not, the way we ride bikes has changed for many if not most cyclists because of the modern GPS cycling computer. Think about it. No more wheel magnets, no rollouts, just press the power button and let the satellites do their magic. The best cycling computers are useful but not obtrusive. Indeed, now we have the ability to track fitness and form with integrated heart rate and streaming power, not to mention get real-time directions (and even text messages) delivered to that helpful screen mounted on our handlebars. But which cycling computer is best for you and your needs. We’ve come up with a list of 12 of the best cycling computers. Read on to learn more. 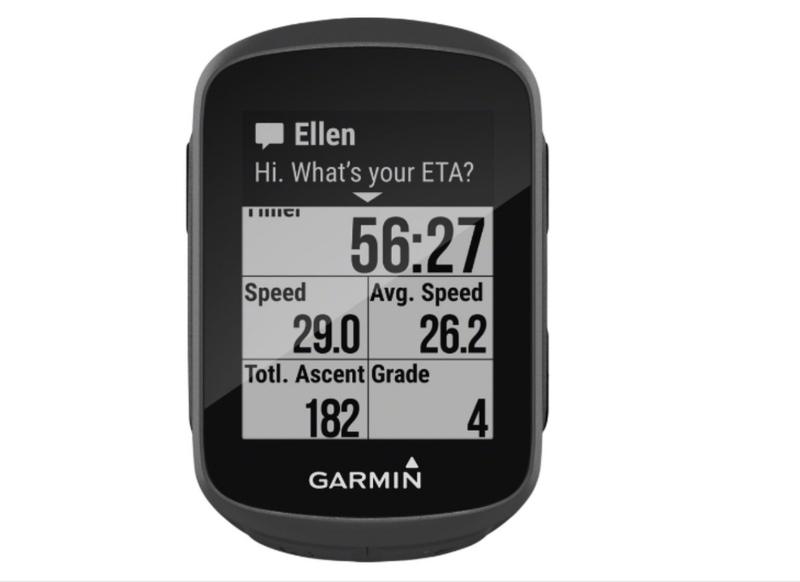 The Garmin Edge 520 Plus is a juiced up version of their top-rated Edge 520 do-it-all unit. The 520 Plus boasts better map and turn-by-turn directions via a preloaded Garmin Cycle Map that includes navigation and alerts that notify the rider of upcoming turns, plus if you get off route, it will lead you back. 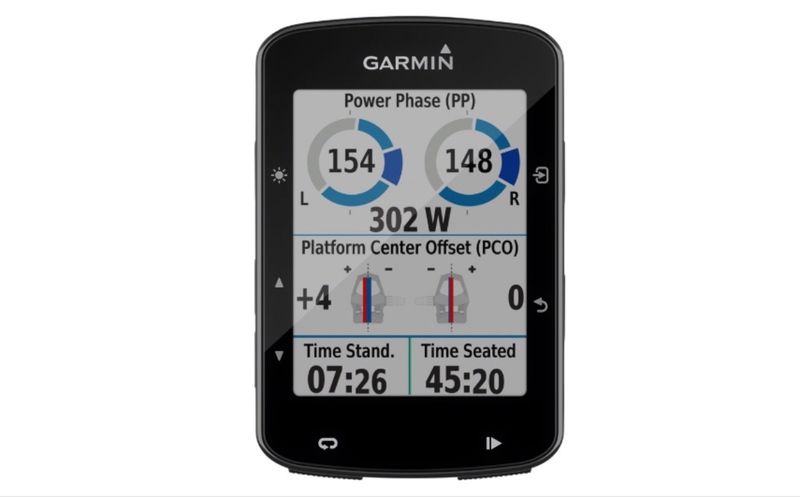 If you crave data, the Garmin Edge 520 Plus obliges, offering cycling dynamics, power, and pedaling efficiency, including where the power is being applied on a pedal and throughout the pedal stroke (so long as you have a power meter installed as well). It’s no coincidence that this feature works exceptionally well with the Garmin Vector 3 power meter pedals. The updated performance indicator gives the user an inside look at training and physiological stress by compiling data and running it through Garmin’s proprietary Firstbeat algorithm. If you choose, all your data and metrics store on Garmin Connect, where you can check in for post-ride analysis. The unit syncs very quickly with all smart trainers that we’ve come across, and boasts a user-friendly screen for changes in resistance. The Edge 520 Plus is compatible with ANT+ technology sensors, including speed, cadence, and heart rate. Wahoo is arguably known for its line of smart trainers but they also make top shelf cycling computers. 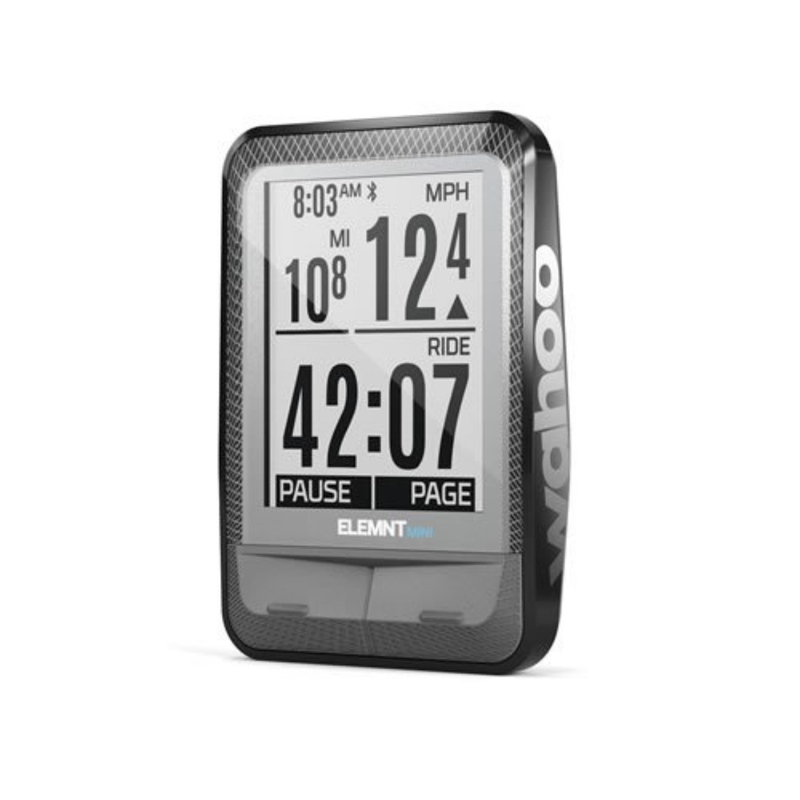 The Wahoo ELEMNT series has gained popularity over the years for easy set up. The ELEMNT Bolt makes this list thanks to its ease of use, aerodynamic design, and fantastic battery life (up to 15 hours). The Bolt also features dual Bluetooth 4.0 and ANT+ connectivity and quickly pairs with smartphones and sensors. An integrated GPS with preloaded global maps, optimized cycling routes, and turn-by-turn navigation will help you feel confident even when you’re far from home. 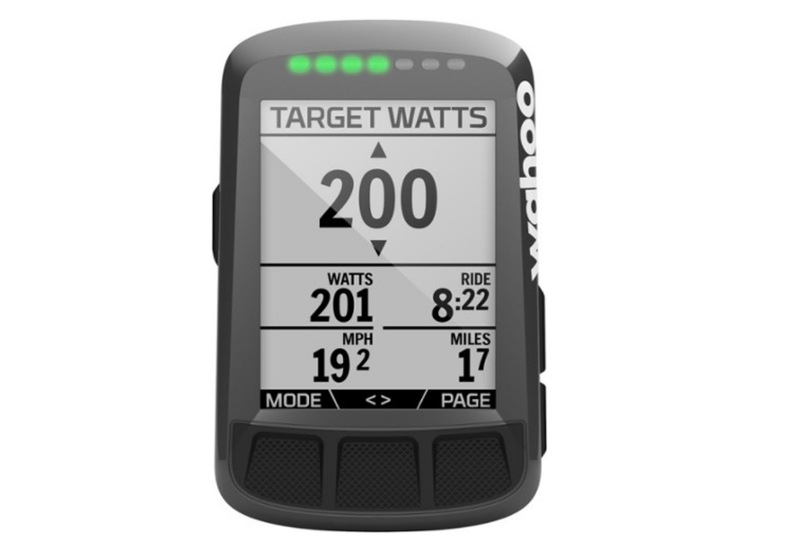 The Wahoo ELEMNT Bolt has 150 customizable data fields, which are easy to set up via the Wahoo app. The app will also let you know when you need to charge your cycling computer. The big brother of the Bolt, the Wahoo ELEMNT is equipped with Bluetooth Smart and ANT+ dual-band technology, and pairs seamlessly with all of your cycling sensors. It’s also very easy to set-up. No more confusing menus and sub-menus. Like the Bolt, the ELEMNT comes with a free companion app that allows you to set up your data fields, customize profiles, track performance, and share ride data. Plus, programmable LED QuickLook Indicators provide a quick way to see if you’re on pace with important performance metrics like speed, cadence and power. Part of the dynamic Stages Ecosystem, Stages Dash approaches the concept of cycling data differently than many of the other best cycling computers by putting a premium on the metrics that help you meet your goals. 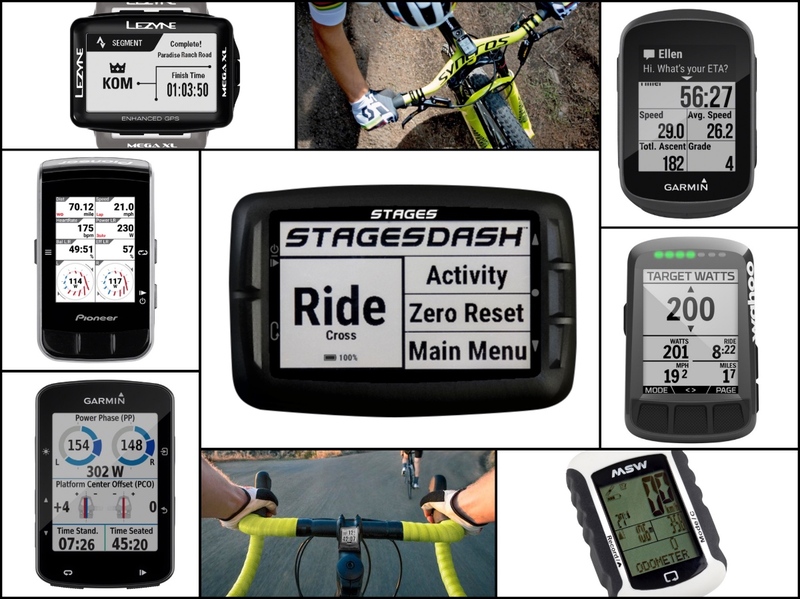 Indeed, Stages Dash helps ensure you will improve your performance with power by answering the question: I have a power meter, now what do I do next? 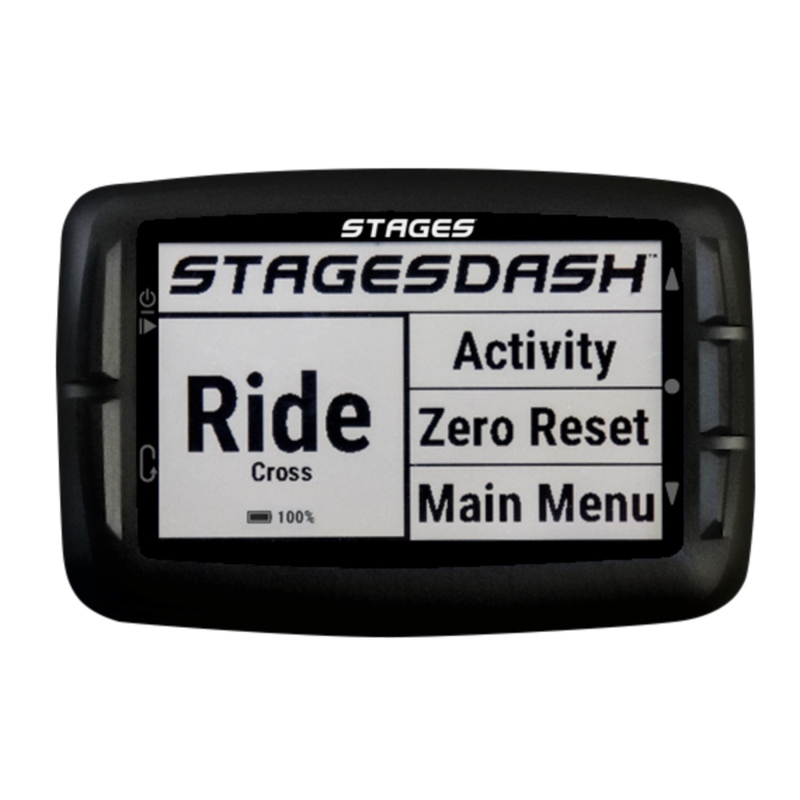 The Stages Dash is also highly customizable; it comes out of the box with pre-populated Activity Profiles to help you train with power, heart rate and even RPE. Wirelessly synced workouts, on-screen explanations, and automated on-the-bike prompts, riding Dash means you’ll never have to stick post-it notes to your top tube again. 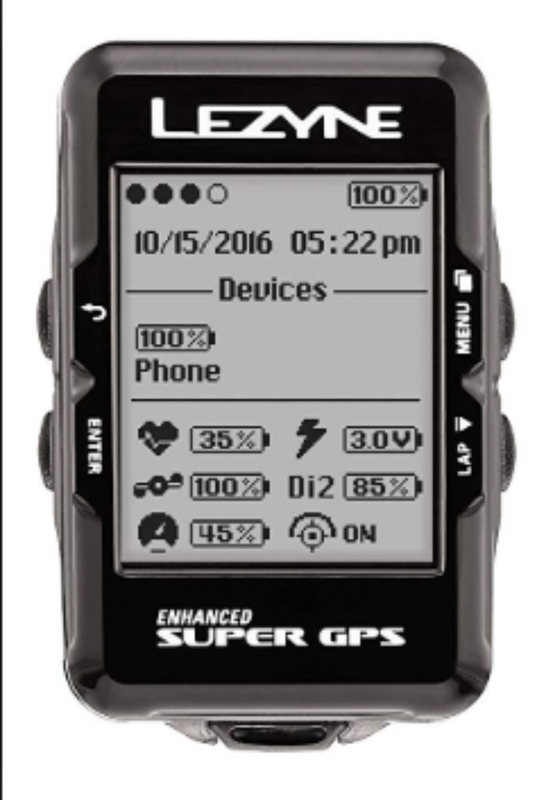 The Lezyne Super GPS is no frills cycling computer that’s easy to use and connects with everything Bluetooth and ANT+. This 76-gram unit will store up to 400 hours of data, and is available for purchase as a stand-alone head unit or bundled with an array of sensors such as cadence and heart rate. When paired with their free Ally V2 smartphone app, the Super GPS can then display incoming messages and phone calls, provide turn-by-turn navigation and be instantly customized. 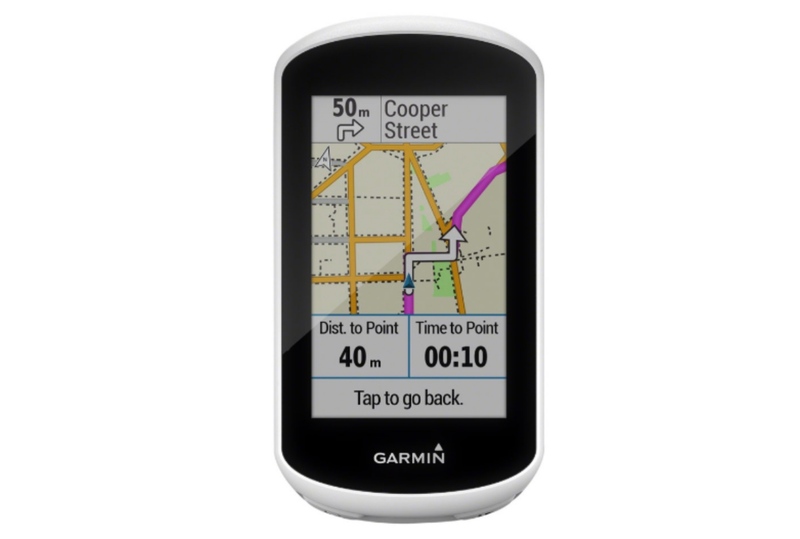 The big dog of touch screen GPS units, the Garmin Edge 1030 is like having a training partner with you on your ride. The Edge 1030 has an impressive feature list, including the ability to reply to incoming text messages or phone calls with a prewritten message, as well as sending messages from one Edge 1030 to another Edge 1030. It also has integrated incident detection to automatically share your location with emergency contacts if you have an accident. Strava fans can chase their friends down in Strava Live Segments, while Strava Summit users will get further access to real-time races against personal best times. The Segment Explore feature allows you to view popular nearby segments, star them and charge. If you want to use the Edge 1030 for training, Garmin has developed the new Training Peaks Connect IQ app to let you input your daily workouts on the Edge 1030. The app will guide you through the workout in real-time with intensity targets and intervals. Pioneer and power data are becoming synonymous, and for good reason. Their dual-sided power meter is used by many pro teams and their technology has trickled down to an affordable single sided meter for the masses. All that data needs to go somewhere, and what better place than Pioneer’s color GPS. The SGX-CA600 can lead riders along highlighted routes, and it’s equipped with cue sheet directions and route downloading from Strava and Ride With GPS. 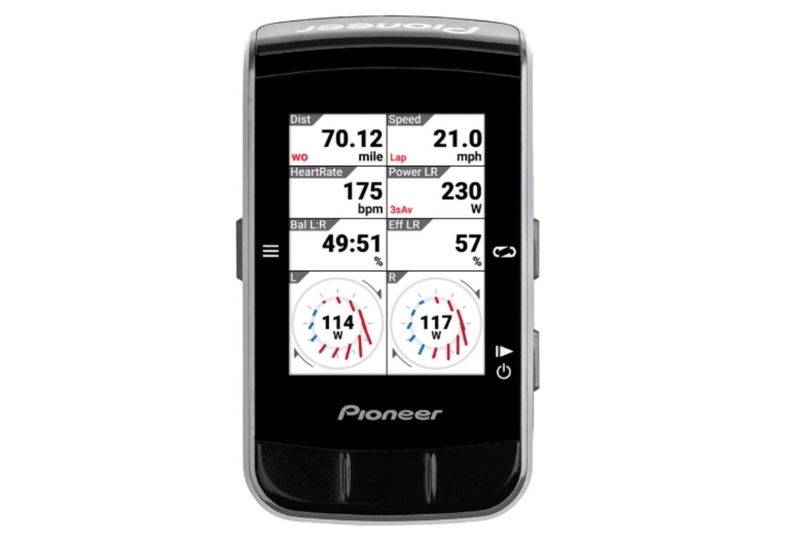 When used with the Pioneer Cyclo-Sphere, riders receive text and email notifications, and Di2 or eTap drivetrain status all without taking out your phone. 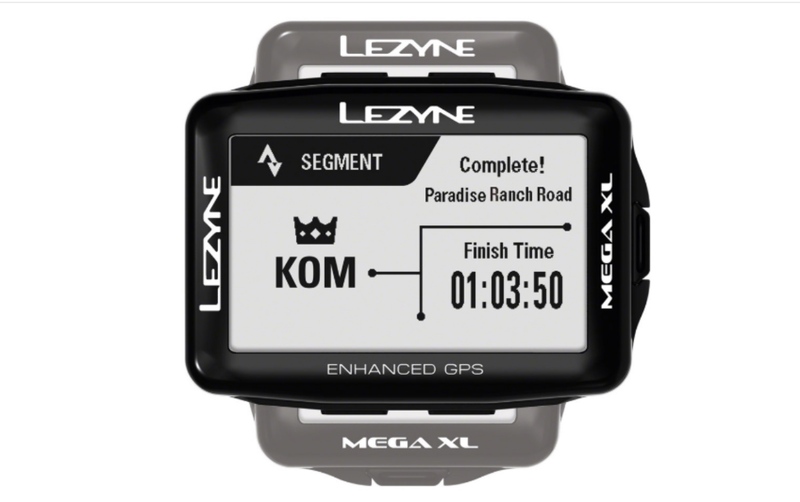 Landscape or portrait option, customizable screens, and top-notch battery life make the Lezyne Mega GPS XL a viable option for any rider looking to explore and train. It has a large, 2.7” 240×400 high-resolution screen with the choice of vertical or horizontal viewing. Turn-by-turn guidance is easy to follow, and the large screen is excellent for keeping an eye on your stats. Landscape mode is particularly useful when performing intervals and keeping a watchful eye on power. The cascade of numbers is easy to digest, with enough room to monitor battery life of you auxiliary units (heart rate, phone, power meter, etc). Bombproof construction and ease of use make this a great cycling computer for those who want to see power and alerts without breaking the bank. Compact and bright, the Garmin Edge 130 is the perfect race day computer — at least it is for me. 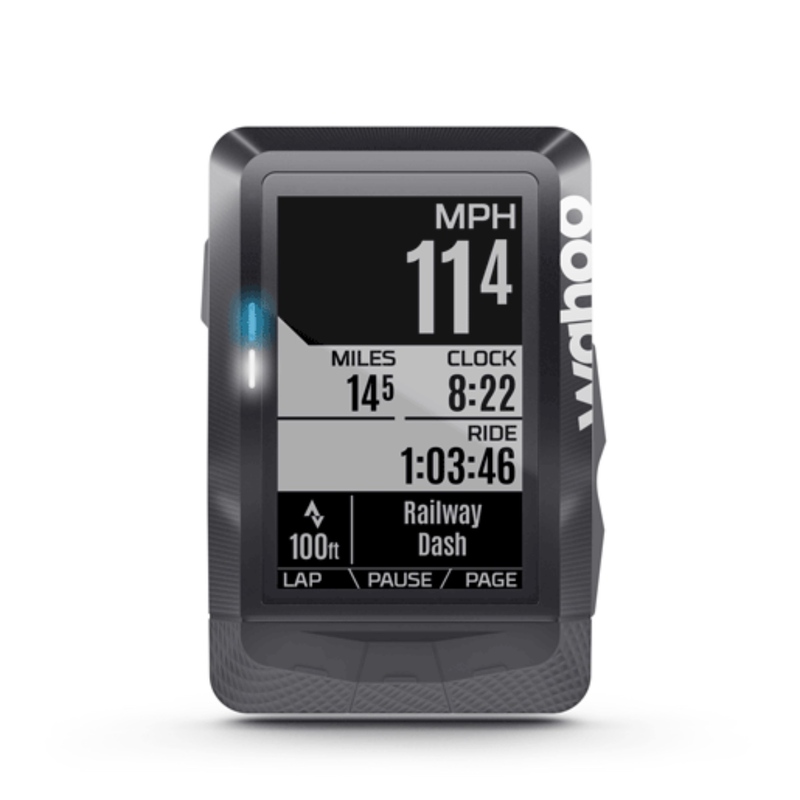 The Edge 130 has nearly everything you need to navigate your ride, monitor stats, and stay connected with friends all in a small but powerful 33-gram package. The 1.8″ display is sharp and easy to read in bright or low-light conditions. Designed for riders that desire data in an easily digestible form, it has a claimed 15 hours of battery life between charges. With GPS, GLONASS and Galileo satellites and an altimeter, you’ll know how far, fast, hard, and high you’ve ridden. You can also download courses from the Course Creator feature in Garmin Connect and race in real time against Strava Live Segments. 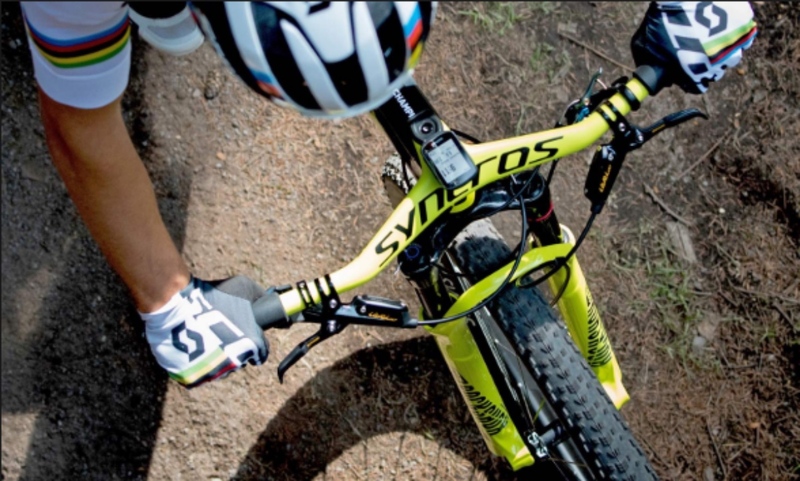 Heck, if it’s good enough to be Nino Schurter’s go-to race computer, it’s good enough to be yours. 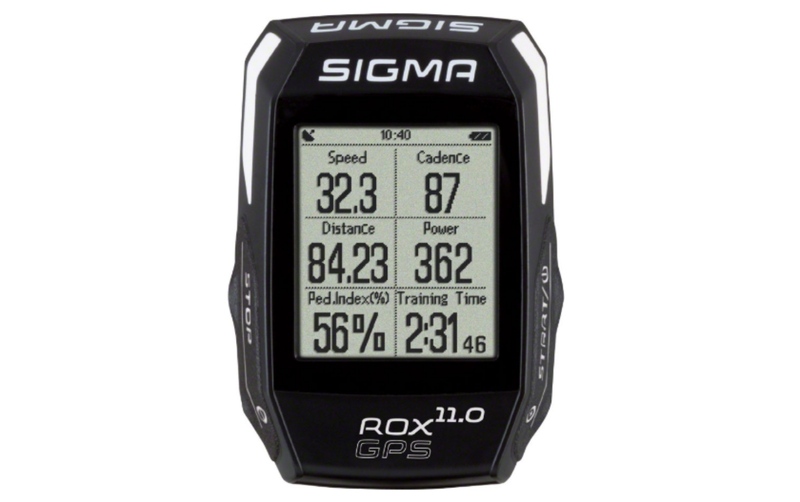 The Sigma ROX GPS 11.0 is for serious training and metrics tracking without cluttering your handlebars. All the data you want is transmitted to the computer via ANT+ thanks to the Sigma’s R1 DUO and R2 DUO COMBO sensors. Riders can set up profiles on the Sigma training app and dial in zones. Also Strava Live segments will update you on times and best efforts. The ROX is simple and to the point, making it an excellent training companion. 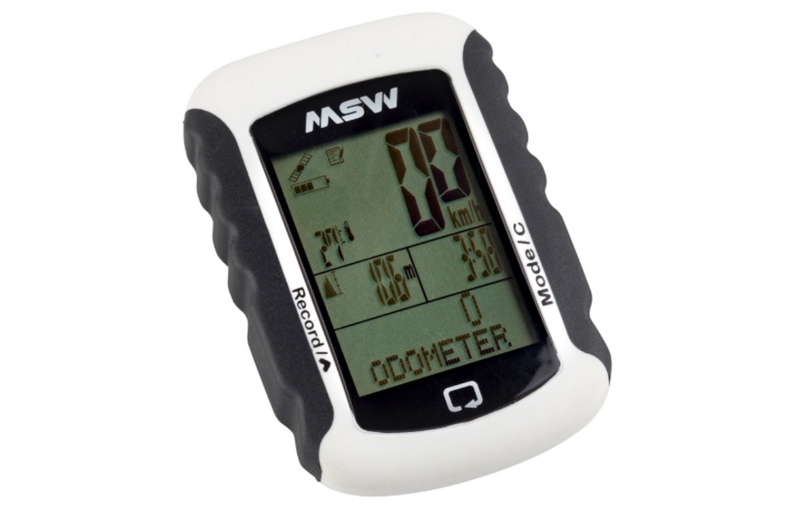 The MSW Miniac 333 is a great GPS unit for riders looking for a full-featured computer without a lot of fuss. It comes encased in a durable rubber coating and boasts 20 hours battery life. The MSW Miniac tracks speed, distance, altitude, and ride time with Bluetooth uploading to Training Peaks, Strava, or other ride tracking websites. The unit is easy to program and connects to a variety of heart rate monitors, cadence sensors, and power meters via Bluetooth. Wahoo ELEMNT MINI is the sensor-based bike computer for those that want max data in a mini package. ELEMNT MINI is designed to work with Wahoo dual-band sensors only and offers two different configurations to meet your ride needs. The ELEMNT MINI pairs seamlessly with the Wahoo RPM Speed Sensor included in the box, as well as other Wahoo heart rate monitors and cadence sensors. It also works with their free ELEMNT Companion App that allows you to set up your data fields, customize profiles, track performance, and share ride data effortlessly – no more confusing menus. When paired to your smartphone, the ELEMNT MINI gives you ride tracking, full ride data analysis, and call and text pop-up notifications. Monster Energy Supercross - The Official Videogame 2 is here! The second edition of the game is now available on PlayStation®4, Xbox One, Windows PC®/STEAM and Nintendo Switch™. Brief statement says investigation into damage is underway.